Michigan native and U-M grad Councilman Jamm -- nee Jon Glaser -- sat down with us to discuss his television and comedy career on Nov. 26 at AADL's downtown branch. 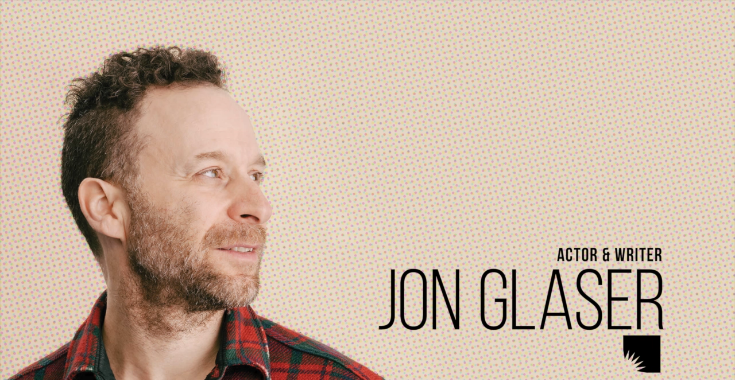 He created, starred in, and co-wrote the TV shows Neon Joe Werewolf Hunter, Jon Glaser Loves Gear, and Delocated. He is perhaps best known as the aforementioned Councilman Jamm on Parks and Recreation and and Laird on HBO's Girls. Other TV credits include Inside Amy Schumer, Curb Your Enthusiasm, and Wonder Showzen. Film credits include Trainwreck, Be Kind Rewind, and Pootie Tang. Cartoon voice work includes Bob's Burgers, Archer, Lucy: Daughter of the Devil, TV Funhouse, and Aqua Teen Hunger Force. He appeared as Video Cowboy in the ESPN web series Mayne Street, and he created, wrote, directed and starred in a series of web shorts for Comedy Central called Tiny Hands. As a writer and consultant, Jon's credits include Inside Amy Schumer, Late Night with Conan O'Brien, The Dana Carvey Show, Human Giant, and Cheap Seats. He has written several stories for The New York Times Magazine, and his writing has also appeared in ESPN The Magazine, The Onion A.V. Club, and online for New York magazine. His first book, My Dead Dad Was in ZZ Top, was published by Harper Perennial, and he wrote and directed the music video for Bob Mould’s "Star Machine." For more videos of AADL events, visit aadl.org/videos.